So I decided to start a new tapestry. I have been looking for a good cartoon to use in a tapestry, where I should use only metal weft. Finally I found one. 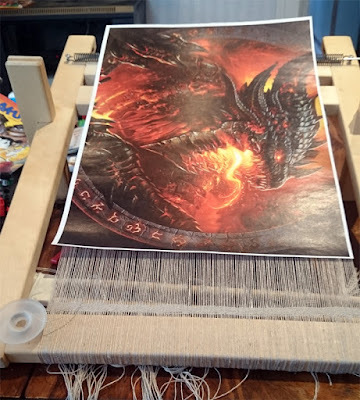 I will weave a dragon of World of Warcraft. I have not been playing the game, but the dragon looks great. 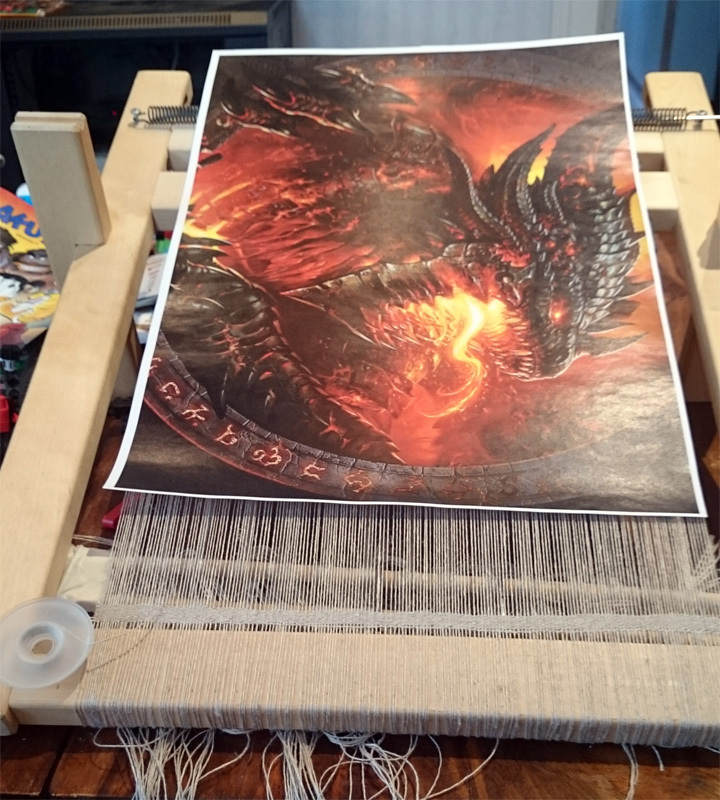 I will use my small table loom and size of the tapestry will be about A3 sheet. Tapestries of purely metal weft has never been bigger than 1 m2. Now I am waiting a delivery of Kreinik metal braid in size #12 Tapestry from US. I couldnot find the hues and size from anywhere else. One of the good features of this project is: that it is easy to take this loom with me and teach how these works are done. Warping is made with linen thread and 6 warps/cm as usual. It was normal in fine tapestries also. It was rare to go as far as 7 warps/cm.